For information on our Louisiana fox rehabilitation, rescue, and wildlife deterrence services please visit HERE. Meet The Canid Project’s newest orphaned Red Fox kits. On April 5, 2018 we received 1 female and 2 males approximately 5.5 To 6 weeks old. We’ve just ordered food (frozen chicks, frozen mice), supplements, meds and visited Tractor Supply to stock up on shavings and dewormer. We are planning a larger enclosure for this year as well! 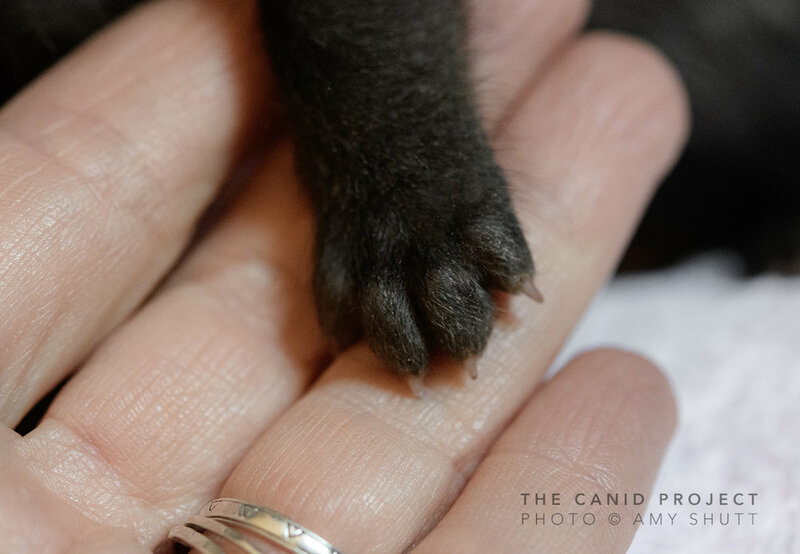 The Canid Project is a 501c3 Nonprofit snd all donations are tax deductible too! In May when Melissa Collins, my LDWF permit officer, came out to approve my first enclosure, she was also able to explore the property. Melissa is a biologist who has a deep understanding of ecosystems and wildlife, so I looked to her to help me decide on a release site for 2017. As we walked the property, we both started to feel that this would be a perfect place. The immediate area consists of large tracts of forested land, agricultural fields, and rural homes on at least 3 acres of land each. Many of these homesteads are left relatively wild and are lush with wooded areas and ponds. Three bayous surround this area and are part of the a 10,000 + acre sub-basin that is an ancient backwater swamp of the Mississippi River. This sub-basin is part of a larger 20,000-acre basin. The property that holds the fox enclosures backs up directly to this 30,000+ acres of diverse forested wetland ecosystem of bottomland hardwood and cypress-tupelo forests, and is peppered with agricultural and rural farmland on the outskirts. Here is a map of the area, with an overlay showing some of the the bayou system, which provides a great dispersal corridor. A satellite image of the area showing how much green space is available, and some of teh agricultural land can be seen as well. I pointed out the release site in red and the power lines tracts which provide yet another travel corridor. In the immediate area, Red Fox, Gray Fox, Coyote, Striped Skunk, Raccoon, Opossum, White-tailed Deer, Bobcat, Swamp Rabbit, Eastern Woodrat, mice, various hawks, and many species of snakes occur naturally. Because Red Foxes are already found in the area, as is their preferred prey (especially rats and mice, and including even small snakes for you ophidiophobes), and because the mosaic of habitats, and the corridors of bayous and powerline tracts that lead to the sub-basin, basin, and the Mississippi River, we concluded that this was a good spot to release the five kits. Yes, there are houses in the area, but they are on large tracks of land, and vehicle traffic is light. And to be honest, it's incredibly hard to find anything devoid of human habitation in Louisiana these days except in the largest swamps and marshes (which aren’t suitable for Red Foxes). The deciding factor was that “soft release” is necessary for kits that are not trained by their parents. 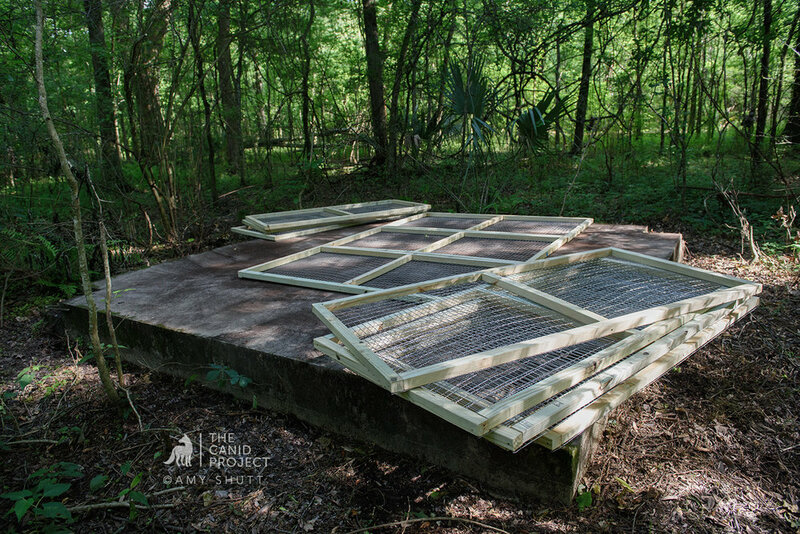 A soft release uses an enclosure at the release site for a period to allow for acclimation of the area, and then after the foxes are released, they are provided supplementary food near the enclosure for 2 to 3 weeks, tapering off a bit each day. In this case, I hide chicks, mice, blueberries, and other fruit and veggies around their enclosure. I monitor their visits via trail cameras. As I type this, their supplemental feeding is almost completely done, and I am down to just dropping native berries like beautyberry, elderberry, and muscadine grapes around the enclosure. Having them released in this area would allow for a soft release, as well as allow for monitoring of their behaviors and movements until they disperse when sexually mature (September to October). I feel since this is my first time doing this, it was necessary for me to ensure they are getting the best chance of survival. 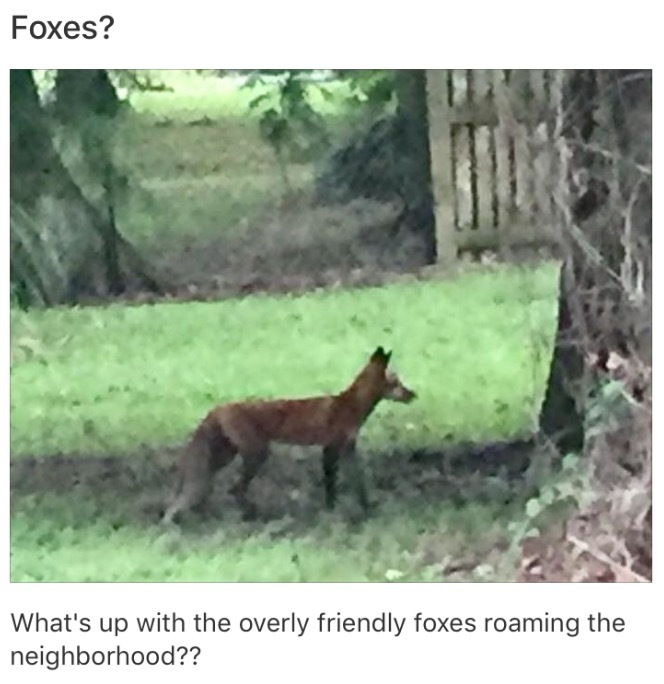 Here's a screen grab of the post I saw come up in Nextdoor! So, they've been released. It didn't go as smoothly as I had hope. I'll elaborate in my new journal entry. For now let's just say our little overly curious boy got into a bit of trouble, got dehydrated , and he had to be re-captured, vetted, then re-released. To add to the adventures of our problem child, as I like to refer to him, he had approached a few walkers, keeping a good distance, but he approached none the less. How did we find out? Well, we noticed this week on the Nextdoor app that someone posted about him, much to my horror! See the photo on the right of the post I saw come up on Nextdoor. I was very worried at first, because if he can't make it in the wild and behave as a wild fox ought to, by law he will have to be euthanized. None of the others were going anywhere near people, and if they saw people, they bolted, as they should. Although a bit concerned, I had more hope than not, that if I could educate the people in the area on what to do if they see him (hazing and shooing him away in lieu of trying to befriend him by feeding) his chances of survival would rise quite a bit. He'll learn that approaching humans does nothing beneficial for him, and so in time he will stop. And so right then I began to reply to the posts and concerns. I must say it's been a better reception than I had anticipated. Blow are some snippets of the positive replies I have received, and I feel even more so confident that we, as a small rural community, can get this boy headed in the right direction. The reports also show very promising hunting behavior, which was wonderful to see. The more eyes we have monitoring all all the three foxes that remain in the area, the better. I started The Canid Project Red and Gray Fox Rehab and Rescue in May of 2017. The idea had come to me about a year and a half earlier. I have a small background in wildlife rehabilitation, as I have volunteered with Leslie Lattimore of Wings of Hope for over 7 years and continue to do so when time allows. Aside from that, I've always been immensely interested in animals. Photographing, studying or helping to rehabilitate them, they have always been a prominent fixture in my life. I spent a few weeks in England IN 2016 AND 2017 volunteering 10 to 12 hour long days a week with The Fox Project. This organization has been around since 1991 and are probably the most well known fox rescue in the world. The hands on knowledge I received through The Fox Project has been the most valuable "training" I could have ever received. I brought back to the states many aspects of this organization's techniques and protocols. I've even used their enclosure guidelines to build my own. The team at The Fox Project has been great as far as support id concerned as well; if I have an issue I'm unsure of I can email them and they always promptly reply, easing my novice nerves. Along with my volunteering with the fox ambulance and at the unit, The Fox Project also allowed me to document their many efforts through photography, video, and interviews. I was able to meet with not just the staff, but a handful of their amazing fosterers, a definite highlight of my time there. I am still working through all the content and still have a bit more to collect, but there will be more on that experience, the staff, volunteers and the foxes of The Fox Project soon. Back to my rescue efforts in the USA: We don't see foxes that often in wildlife rehab in Louisiana. However, last year we did get a handful of Gray Fox kits and a couple of sub-adult Red Foxes. This year, starting in late April, Leslie started receiving Red Fox kits and I wanted to help her out as much as I could, so we started the construction of the first fox enclosure in May 2017 on my property. Before I could do anything with the foxes though, I had to get my permit from the Louisiana Department of Wildlife and Fisheries. 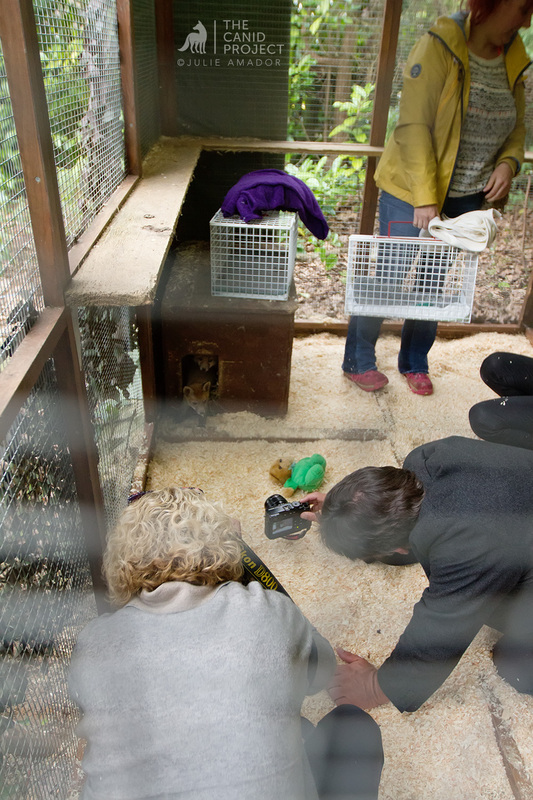 This entails a test and a checklist of requirements that must be met, and an enclosure built to the standards set forth by the International Wildlife Rehabilitators Association was the last requirement I needed to fill. 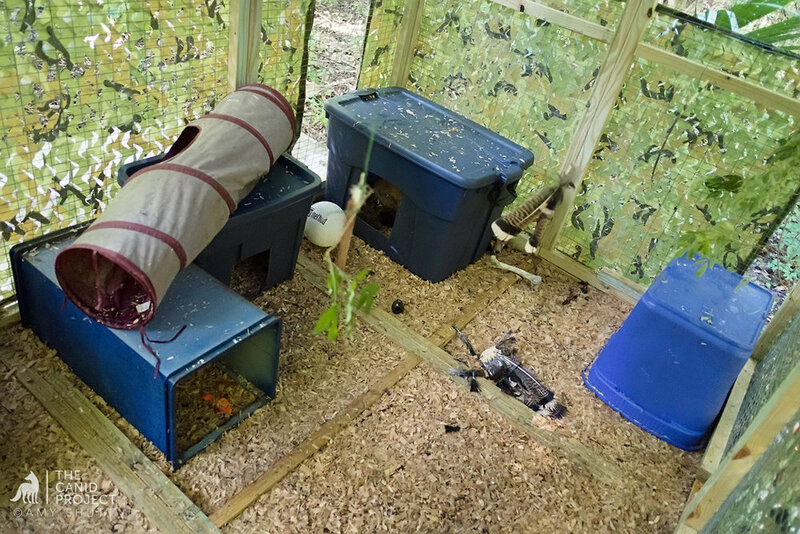 With the physical help of Julie Amador and Mike Ginn and the monetary help of some supporters, we completed the enclosure in about 2 full days. In late May we transferred the five Red Fox kits to my new enclosure, and so a new chapter begins. The pictures (shown above) also represents a very pivotal moment in my life and it’s why I feel I owe so much to the fox. After I took those snapshots that day I uploaded them to an online forum I used to journal and speak to friends on. The first response was from a Russian photographer friend of mine, “Oh these do these creatures no justice. Go and get your cameras out of storage, stop being stubborn, and start shooting again” was the gist of what he typed to me that day. And I remember thinking that he was off the mark because I was just shooting the foxes in a documentary fashion and it didn’t matter. However, I knew deep down it did matter. It mattered in the sense that I gave up something that once gave me great joy and happiness. I gave up the one thing I never got bored with and the one thing I was always hungry to learn more about. It wasn’t just a disservice to the foxes but it was a disservice to myself too. I was being stubborn and getting in my own way.